For many grandparents, a grandchild offers a second chance to become the parent they didn’t have the time or the energy to be when raising their own children. 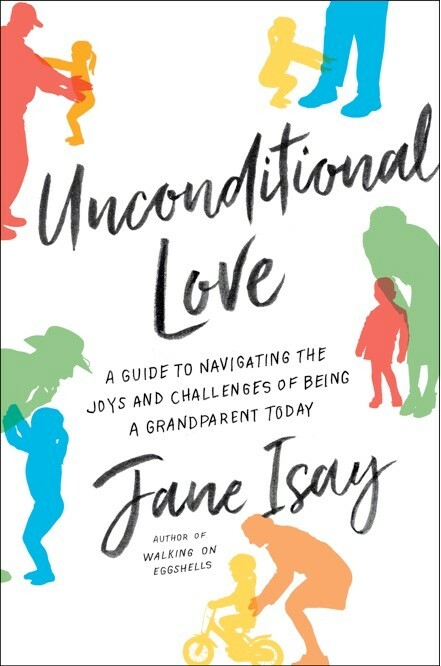 Being a grandparent, family relationships expert and author Jane Isay argues, is the opportunity to turn missed opportunities into delight. Drawing on her personal experience, dozens of interviews, a nd the latest findings in psychology, Isay shows how a grandparent can use her unique perspective and experience to create a deep and lasting bond that will echo throughout a grandchild’s life. She explores the realities of today’s multigenerational families, identifying problems and offering solutions to enhance love, trust, and understanding between grandparents, parents, and grandchildren. She also offers a wealth of practical advice, from when to get involved, when to stay away, and how to foster a strong relationship when you’re separated by long distance. Bring your questions about grandparents and grandchildren for the dialogue we will have with Jane! Copies of this book will be available for sale for $20 cash. Jane Isay: Her first grandchild was born the week she got an offer to publish her first book. Her writing and her family have grown together. Now there are four grandchildren–and four books. She began her career as a book editor, specializing in psychology, first at the Yale University Press, and then for thirty years in New York publishing houses. She has worked with psychologists from Anna Freud to Alice Miller and Mary Pipher. In 2004 she began a new career as a writer of books about family: Walking on Eggshells, Mom Still Likes You Best, Secrets and Lies, and now Unconditional Love. Each book, based on dozens of interviews, attempts to understand the emotions that lie behind the ordinary tensions of family life and to help readers find strategies and that may make family life a little easier. Payments by check must be received 7 DAYS before the event, or registration will be cancelled. Refunds can only be made for cancellations received at least one week (7 calendar days) before the event.